With its cool looks, smart interior, seven-seat versatility and fine driving dynamics, the Discovery Sport has it all. The Land Rover Discovery plays the practical family car, the luxurious cruiser and the off-roading hero all in one day. 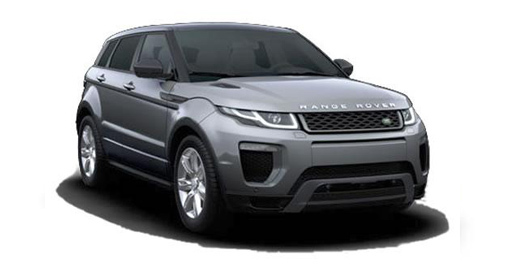 The Range Rover Evoque is Land Rovers most successful ever model with great styling inside and out, smooth and efficient engines and good off road ability. The Range Rover Velar is one of the most desirable SUVs available on the market. It’s modern, super-stylish and will pamper you with impressive levels of comfort and refinement. The Range Rover Sport is great to drive with strong performance and size-defying handling prowess. It’s as luxurious as you’d expect a big car wearing the Range Rover badge to be. With its incredible refinement, high quality interior and go-anywhere ability, there is nothing quite like a Range Rover. We currently have no offers on the Range Rover Evoque. Quotations available on request. This notice applies to all applicants and (if the application is made by a limited company or partnership / unincorporated association) directors and partners. We'll check your details with credit reference and fraud prevention agencies ("the agencies") and they'll record our check and provide us with information about you. We'll tell the agencies if we think you've given false information or suspect fraud. We'll also give credit reference agencies information about how you manage your account. We and other companies will use this information to assess you and your household for: credit and credit related services; motor, household, credit, life and other insurance proposals and claims; debt tracing and recovery; prevention of fraud and money laundering; statistical analysis about credit, insurance and fraud; and market research. I hereby warrant that the information contained in this application is true and accurate and authorise ACL Automotive to make all enquiries to verify the information to enable the lender to consider this application. I understand that the lender reserves the right to decline this application. Land Rover On Lease is a trading style of ACL Automotive Limited who are a licensed credit broker authorised and regulated by the Financial Conduct Authority, registration number 723172.